Looking to take flight in Salt Lake City? 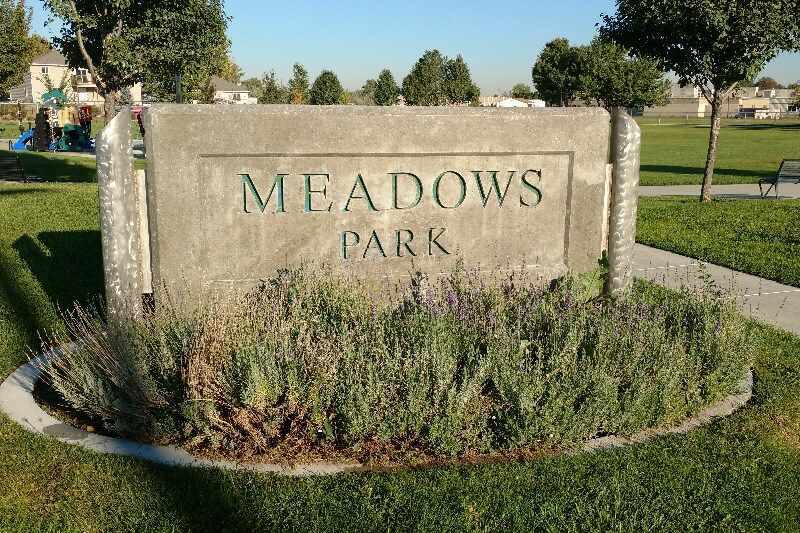 What started as a cinder-covered landing strip in 1911 is now the Jordan Meadows community, and home of the Salt Lake International Airport. It maintains 654 flights daily, serving 21 million passengers a year. The community is as quaint as it is industrial. Forged in the 1930s to support booming airport operations, Jordan Meadows offers an endless supply of wetlands and wilderness within city limits. Jordan Meadows lies north of I-80 and southwest of the airport, sprawling toward the sandy shores of the Great Salt Lake. The neighborhood extends to 700 North, and overlooks the Jordan River on the east, brushes North Temple on the south, and the city limits lie to the west. Cost of living is lower than the average neighborhood in Salt Lake City. Single-family homes and apartment complexes are knit together in the area. According to the Zillow Rent Index, the average cost to rent in Jordan Meadows is $1,256, while the median cost to rent in Salt Lake City is much higher at $1,400. The median home value in Jordan Meadows has increased a whopping 10.3% over the past year. Zillow predicts the area will continue with an upward trend of over 5%. It’s safe to say that Jordan Meadows is on the rise, and lucky for you, the average cost to buy a home in the neighborhood is $168,700. The average Salt Lake City home hovers at $243,000. The average commute time for Jordan Meadows residents is 16 minutes. Whether you’re heading to West Valley, downtown, or airport bound, there’s a way to get there. Public transit: The area utilizes the Green Line TRAX which connects the airport to the rest of the rail system, including the FrontRunner. If there’s a gap in your rail commute, UTA buses serve all of Salt Lake City. Plan your trip. Car: Jordan Meadows’ quick access to the freeway will shave time off your commute. Although it’s less than a 15-minute drive into the heart of the city, traffic and parking costs downtown can present a drawback. Walking: Wide sidewalks and flat terrain make walking around the neighborhood easy, but keep in mind it’s a five-mile trek into the heart of downtown. Biking: Jordan Meadows is largely industrial, but bike paths are available, especially along North Temple. An endless bound of hiking and biking trails supplies outdoor recreation in Salt Lake City. The Jordan Meadows Park boasts a rollerblading path, a playground, public art, and picnic tables for the entire family. If you haven’t yet hiked the Jordan River Parkway Trail, now is the time, since the trailhead is in your back yard. 50 miles of continuous trails and parks lie along the Jordan River. Jordan Meadows lacks the type of retail that satisfies a shopaholic, so for the majority of your shopping needs, downtown is just a 15-minute drive away. The majority of residents find groceries at Smith’s Marketplace or the no-frills Super Saver on Redwood Road. If you want to find good restaurants, food trucks, or drinks, you’ll need to head downtown which is just 15-minutes away. There are no notable or highly ranked schools in the Jordan Meadows community, but there are K-12 options nearby within the Salt Lake School District. Meadowlark Elementary is located in Jordan Meadows and is attended by the majority of children in the area. High-school-age kids in Jordan Meadows attend West High School. Like many Utah high schools, West High offers Advanced Placement courses for serious students ready to prepare for the rigors of college. While nearly 80% of the student body graduates; however, only 25% are ready for college. Unfortunately, the overall quality of education provided by schools in the Jordan Meadows area is poor where students’ test scores are concerned. Fortunately, Salt Lake City allows school choice. While school buses are confined to the school boundary, parents are not. Regardless of the designated boundaries, parents may enroll their children in a particular school that meets their expectations if they are willing to drive them. Jordan Meadows is among the lowest areas affected by crime per person in Salt Lake City. Of the crimes reported, theft is most common. If you have concerns, consider doing additional research and reach out to local police, check out this handy crime map, or contact the Jordan Meadows Community Council. If noise is a concern for you, drive into the area and listen for yourself, or contact the Salt Lake City Department of Airports, which is committed to reducing aircraft noise in the surrounding community. Ready to take flight in the neighborhood? If you are one of the 14,000 people employed by the airport, or spot a plane jetting overhead and ‘adventure’ springs to mind, then Jordan Meadows is for you. Don’t forget your hiking boots!